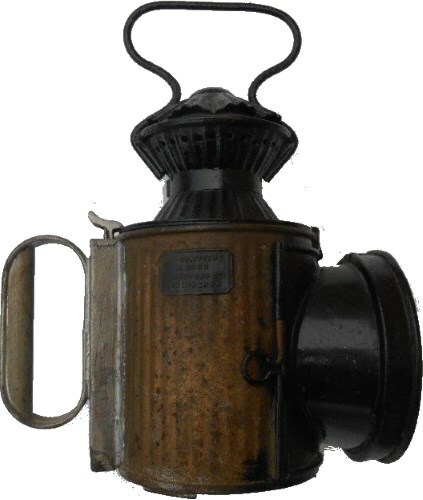 Lot 51 Hand Lamp - Three Aspect Corrugated Private Owners "MESSENGER" Hand Lamp. Brass Plated "ELI. GRIFFITHS - BRADFORD ST - BIRMINGHAM". All Complete with Vessel & Burner. Not Common. NICE EXAMPLE.